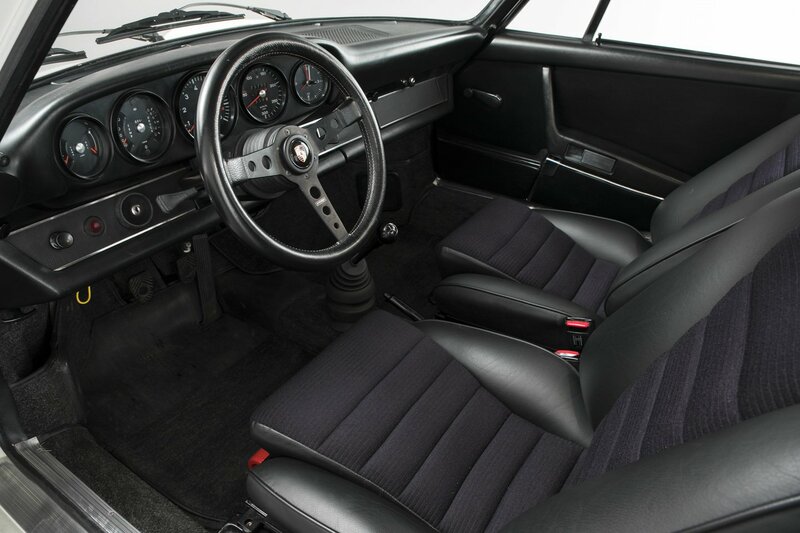 FUCHS ALLOY WHEELS, RECARO SPORTS SEATS, MOMO STEERING WHEEL. 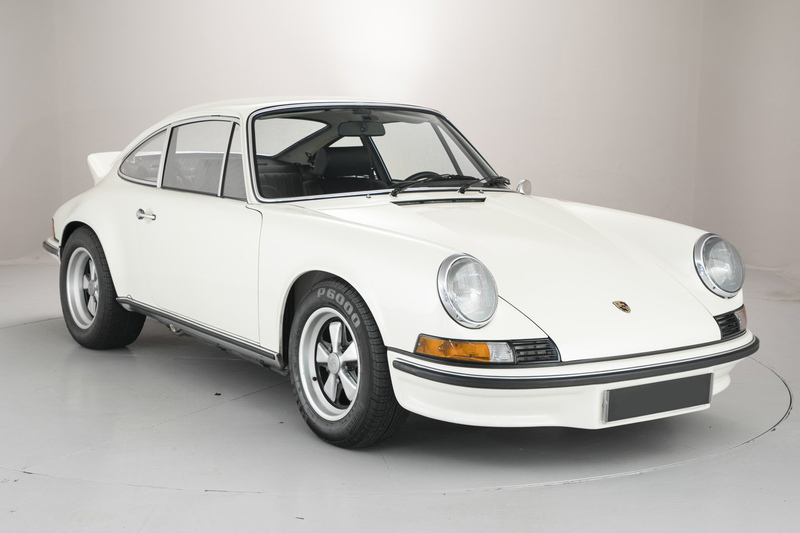 From its chin spoiler to its bürzel, (or ‘ducktail’) there’s no mistaking this wonderful Porsche 911 2.7 RS Touring. 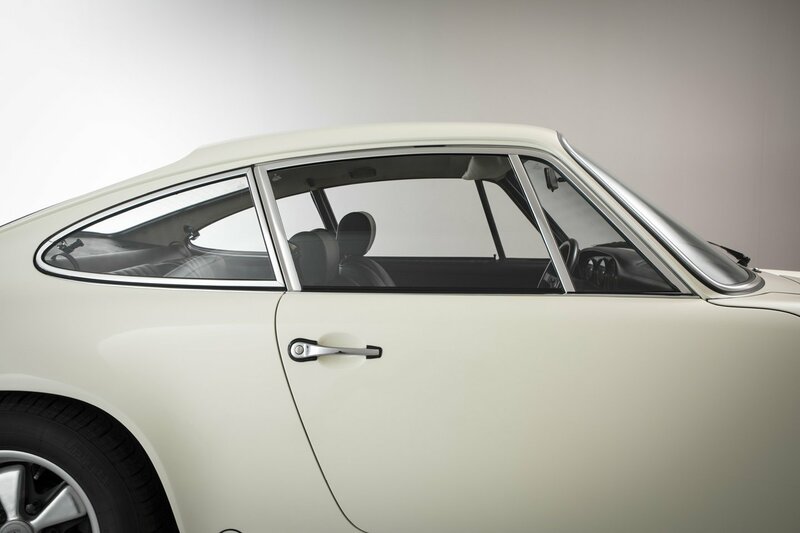 Often replicated, but never equalled, this is the epitome of the Porsche sports car at its best. 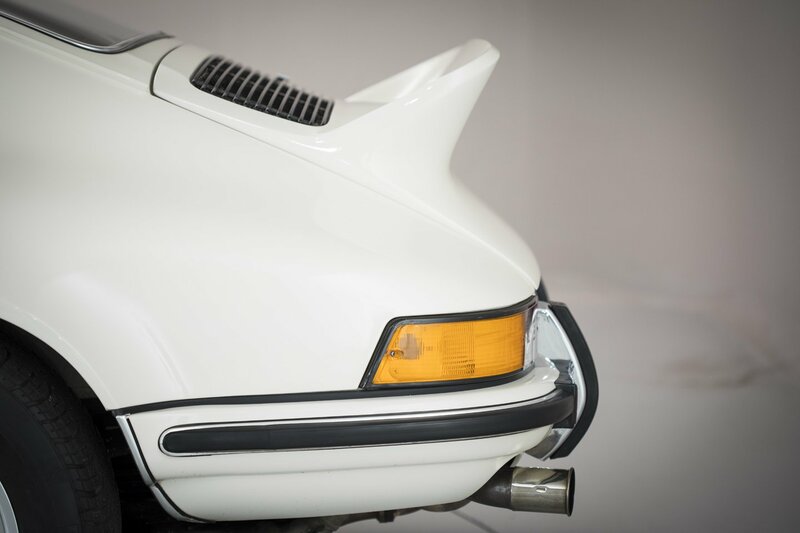 Ernst Furhmann entrusted Norbert Singer to achieve 500 extra sales of a Group 4-legal production model, stripped of all superfluous weight, which offered improved performance over the existing 911 2.4 S.
The new car was named Carrera and they added the now fabled ‘RS’ for Rennsport. 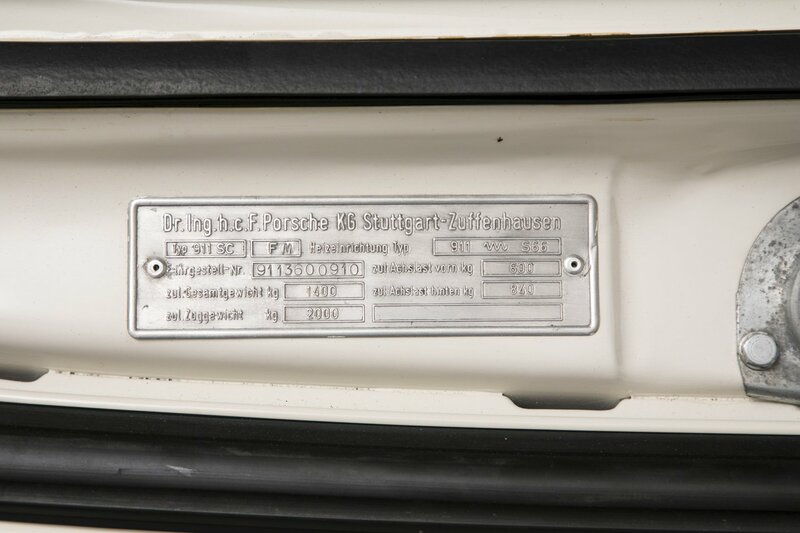 The car was priced at DM 33,000 with a further DM 2,500 for this Touring version. 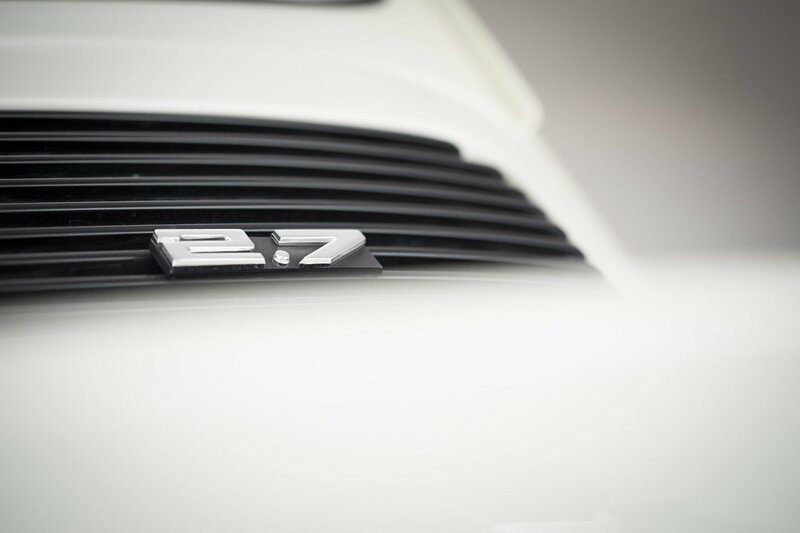 Porsche intended the RS to be used for FIA racing events contested throughout Europe. 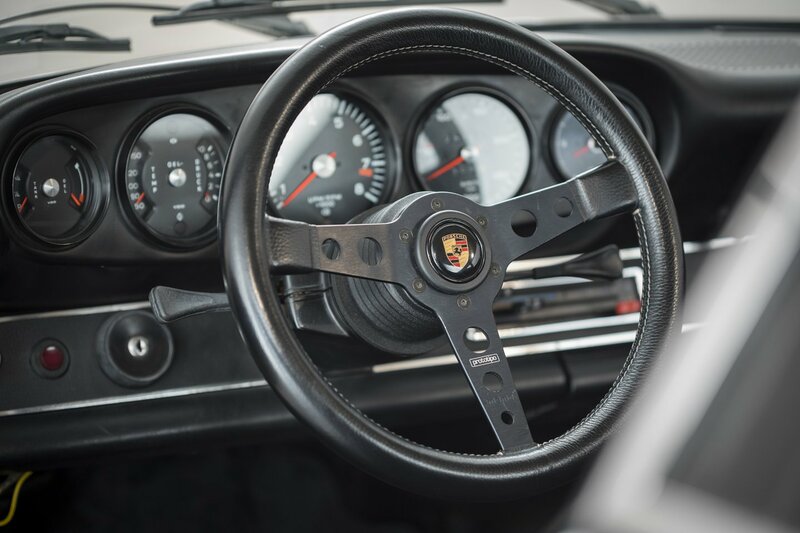 The whole RS programme was aimed at Porsche devotees, people who were prepared to pay a little more to become part of an even more exclusive group. Touring versions sprinted from 0 to 62 mph in just 6.3 seconds, powered by the ‘2.7’ litre 2,687 cc Typ. 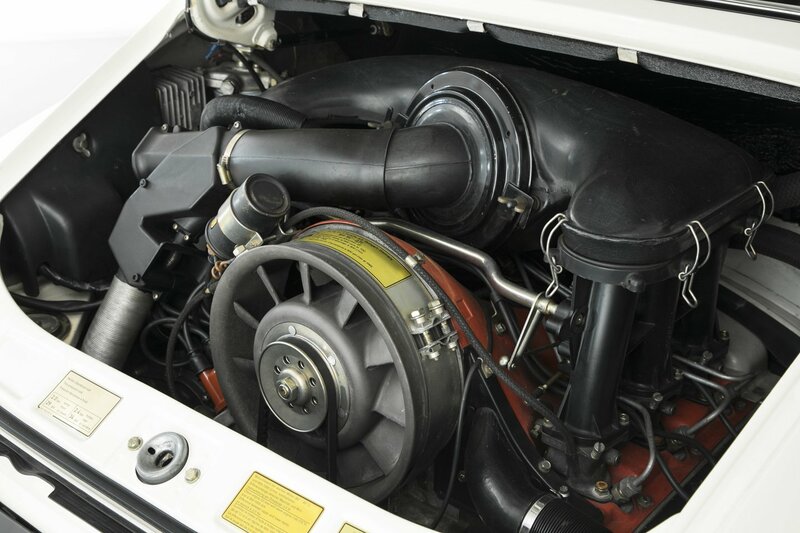 911/83 flat six engine with mechanical fuel injection. Maximum power of 210 HP was achieved at 6,300 rpm. 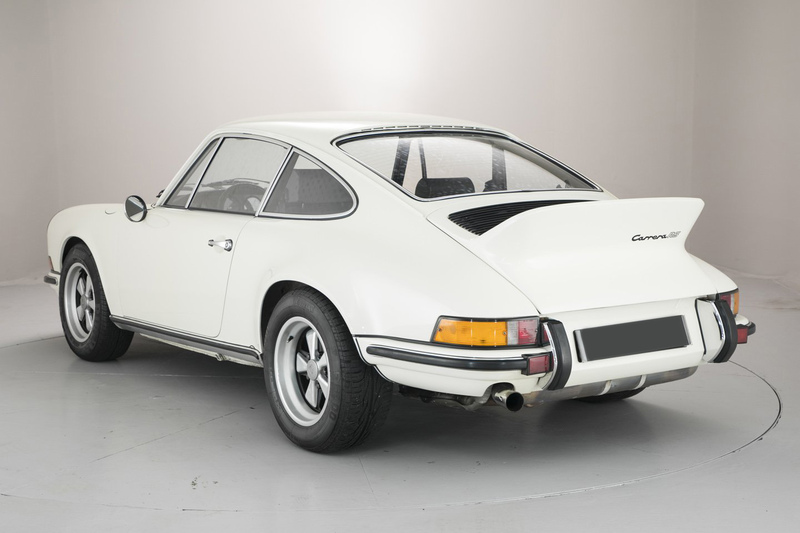 Even the Touring version weighed just 1075 kg, aided by innovations such as the fibreglass engine cover and ducktail. 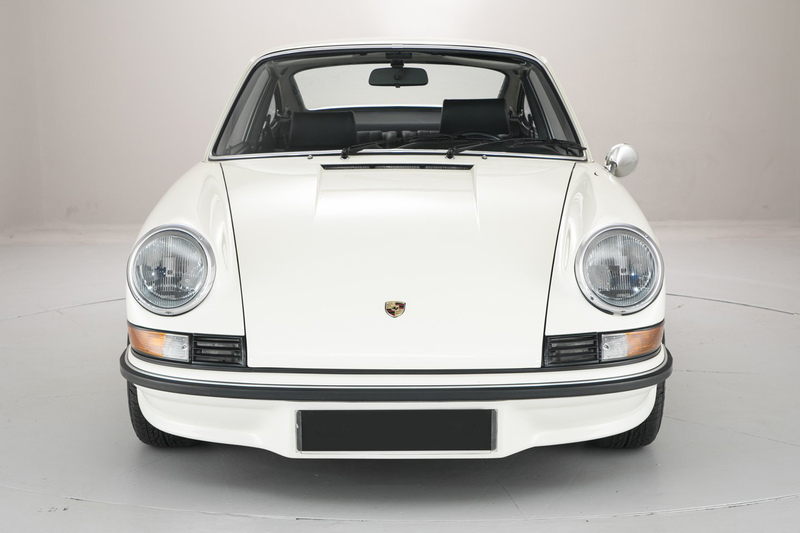 This 2.7 RS was originally registered in Italy, and came to the UK comes complete with its original seats, tools, MOT records, tax discs etc. The car has a history file with large invoices from marque experts such as Roger Bray and BS Motorsport, which detail works carried out and the dyno records. The bodywork has been treated with Zymol Royale, and is ready to enjoy.